Ramblings of an Ultra runner and back of the pack runner. This was my goal race for the year and all my training and prior races were in preparation for this race. After the pacing at Zumbro I dealt with an issue with my left quad and hip which affected about a month of my running but by the time Fans rolled around I was feeling great again and my running was going well. I was ready for Black Hills. The week before the race I started getting very anxious and just wanted this run to get started. 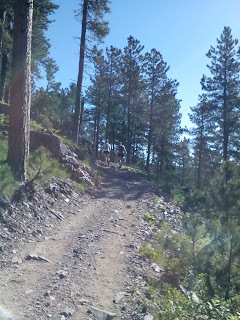 I ran a lot of my weekend training runs with Meredith O'Neil who I was planning on running Black Hills with. I was under the misconception that we were the same pace but as we got closer to the race I was realizing that she was a little faster than me on our long runs. This started getting me nervous about running the race with her and her friend Tiffany as I was beginning to think I would be holding them back. With only 14 hours to run the 50 miles with approximately 9,000 in elevation climb in about 6 or 7 major climbs I knew it was going to be close. I convinced my family to come out with me and sandwich the run with some family vacation time. Not so sure that was the best idea as they felt this trip was all about the trail race. Admittedly the race was on my mind. We arrived in Silver City, SD at our Camping Cabin on Thursday evening and went a few miles down the road for some Pizza at Cousins Easy Glider bar. It was a good choice as the pizza and company were good. Friday's plans were to see the 100 milers off and then do some sightseeing and finally pick up my packet in Sturgis at the Start/Finish line. We were able to have dinner Friday evening with some other runners, Meredith and her Mom, Tiffany and her family and Wendi. We had a good time but called it an early night. My husband was quite surprised as he thought with the live music starting that the evening was just beginning. But being the night before the race us runners just needed to make final preparations and get to bed for that early morning rising. I was able to sleep in some as Terry would drive me to the start line in Silver City just 7 miles down the road. Race start was 6 am and I got to the start around 5:15 am. Race morning had finally arrived and the goal for the day was to get to that finish line 14 hours later. The morning weather was not bad at around 60 degrees. Temps were expected to get up to the mid 80's so we knew we were in for a very hot run. We were off with the usual Ultra fan fair. Ready, Set, Go! Terry actually stayed to watch start. This was the first time in the last three years of running he has seen me start one of my races. We hit the water and mud as soon as we hit the trail. Well mostly the water. South Dakota has been getting tons of rain this spring and everything was wet. This created monster mud on some parts of the trail and some very fast flowing creek crossings around mile 32 for us 50 milers. Rocks, rocks and more rocks! Even the single track was filled with rocks. Admittedly in the first half of the race these rocks were pretty quartz in all different colors but by midrace I did not want to see another rock for the rest of my life. My feet were already sore before I hit that midpoint but there was nothing to be done about that. Very rocky Trail with lots of inclines! I kept up with Meredith and Tiffany (or they stayed back with me) for the first 20 miles or so. We ran together and were at the aid stations for the first three. The aid stations were approximately 7 miles apart give or take some. After that third aid station Meredith looked at me and said that in order to finish the race we were going to have to pick up the pace somewhat. I had already been giving it my all up to this point. We were under the 16:48 pace even with the aid stations (they were always waiting for me on these, not sure why I was taking so long). I had been experiencing a side ache for most of the run up to this point. I am pretty sure this was due to my pace and might even have had something to do with the elevation. All I know is that I felt like I was constantly trying to breathe. I often had to remind myself to take deep breathes as I know I ended up breathing shallow. Is that a tree? 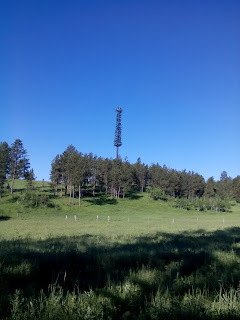 Oh, wait this is a cell phone tower. 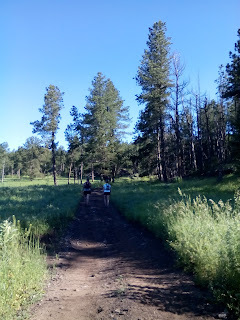 I started to fall behind and hit the fourth aid station (Crooked Tree) about 5 minutes behind Meredith and Tiffany. They ran on ahead and at this point I was ok with that. 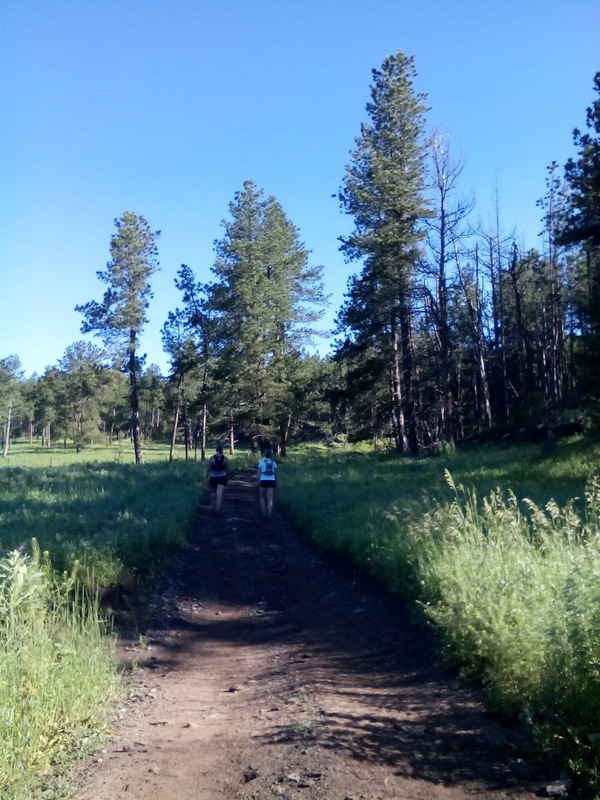 The pressure of trying to keep up with them was getting too stressful and I was not enjoying the run or the trail like I wanted to. I was maintaining the course cutoff's at this point but was starting to realize that I probably would not make that final 6:30 cutoff at the final aid station. I was going to give it my all though and I did. The next section was going to include the creek crossings (mile 27.5 to 33) and it dawned on me that I now would be crossing them alone. I got out my mp3 player thinking maybe it was time to zone out somewhat. I ran most of this 7 mile section on my own and was actually starting to enjoy myself again when I came up behind another runner just before the creek crossings. I was happy about this as I would now not need to tackle the creeks on my own. 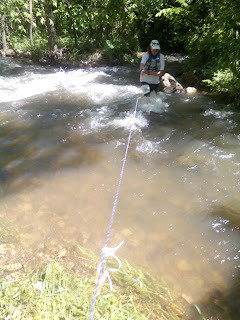 I hit that first creek crossing (at mile 32 on the legs) and really started to get nervous. The creek was flowing very fast. I grabbed the rope and just started across. I quickly realized that this was going to be a slow shuffle across the creek and my goal was to stay upright. I am happy to report that I did not fall on any of the creek crossings. I did, however, help the runner behind me, Judy, as she fell over and was hanging onto the rope hoping not to be swept down the creek. I know these creek crossings ended up taking an extra 15 minutes or more that I really could not afford. I was suppose to hit Elk Creek Aid Station by 3:14 in order to be on pace. Before hitting the creeks I thought I could at least make it by 3:30 but I watched this goal slip away as I navigated the crossings and also did not want to leave Judy behind. I needed to get into Elk Creek at 3:45 for the official cutoff but made it in at about 3:55. I was told Meredith had left 30 minutes ahead of me. I had to make a very quick decision to continue on or be cut. I was not ready to quit for the day and the aid station volunteer said he would let me continue on if I left by 4:00. I made the snap decision to continue on and try to keep up with another runner that was also leaving the aid station. I grabbed some things out of my crew bag knowing I would not see the crew again, grabbed some food for the trail and headed out. 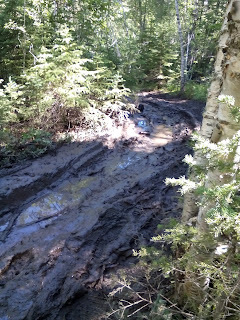 About a half a mile out of the aid station I slightly panicked and almost thought about turning around and going back. I had to run 7 more miles and there was the possibility that the aid station would be shut down and vacated already. I was warned that there was no possibility of getting a ride from that aid station and I would be on my own. I figured I would just call Terry and have him come pick me up. This was a very difficult section in that the sun and heat was really starting to make me not feel so well. I was starting to hurt everywhere but did not want to take any ibuprofen due to the heat. I was never nauseous at any time but I was tired of eating and my skin started to feel funny. I can't describe the feeling but it was a weird feeling. 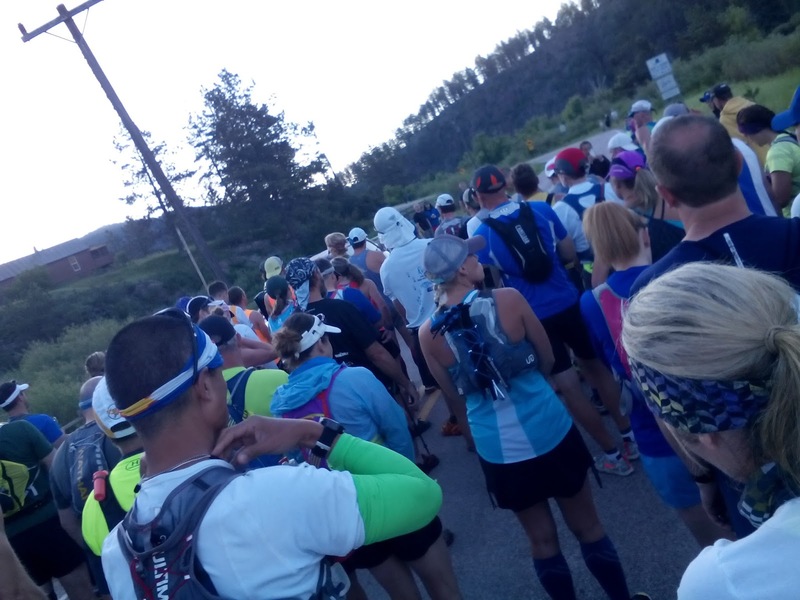 The last time I went to the bathroom was at mile 20 and although I was trying to drink plenty I knew the hydration may not have been keeping up with the amount of sweating I was doing. I walked most of this section with Ryan and his unofficial pacer. When we hit the downhill I passed them up and started to run/shuffle down the hill. Again there were tons of rocks on this section. 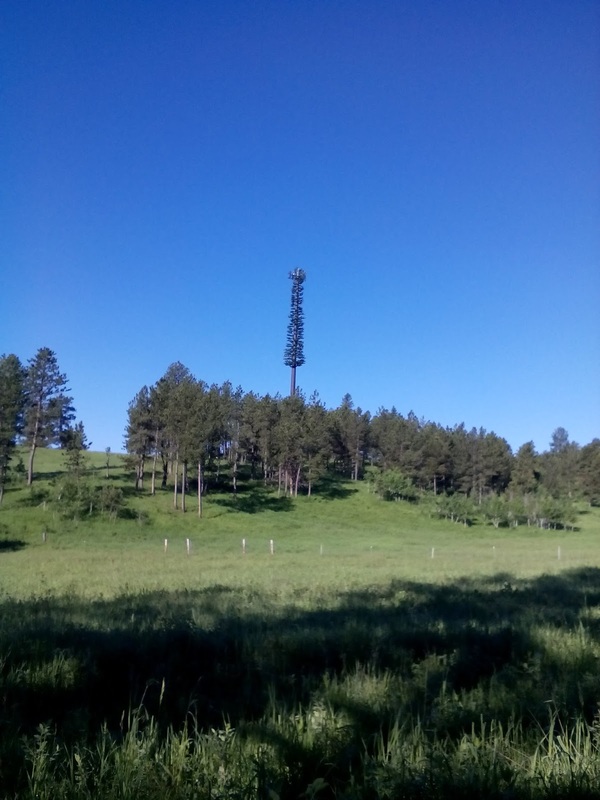 I ended up getting some cell phone signal and knew that at this point I would not be able to make that final aid station before the 6:30 cutoff so figured I better just call Terry to ask him to go to the finish line and get directions to pick me up. This ended up taking a good part of 5 minutes as once I had the signal I had to stop moving or feared I would lose it again. I hit the Bull Dog aid station at 6:30. Although I had pretty much made the decision I was done before Ryan came in and declared he was also dropping I could not fathom the idea of going back out on the trail by myself. There was no one left behind me as those runners would have dropped. 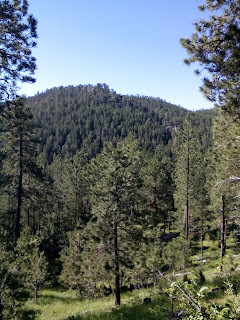 I chickened out and did not want to be in the woods with no cell phone reception all by myself. I had it in my head that the next aid station was 7 miles away when it was really only 4.60 miles away. I also believed I would have a DNF anyway so all these factors played into my decision to be done. It turns out this aid station is very hard to get to and Terry would not be able to get to me but they sent a volunteer to get Ryan and I in a pickup truck and drove us to the finish line. So there you have it. 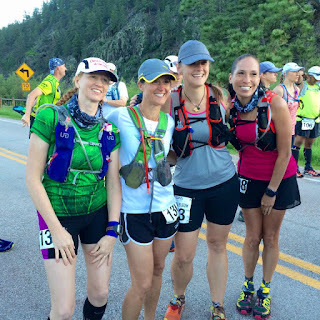 My first attempt at a 50 mile trail race and my first DNF. 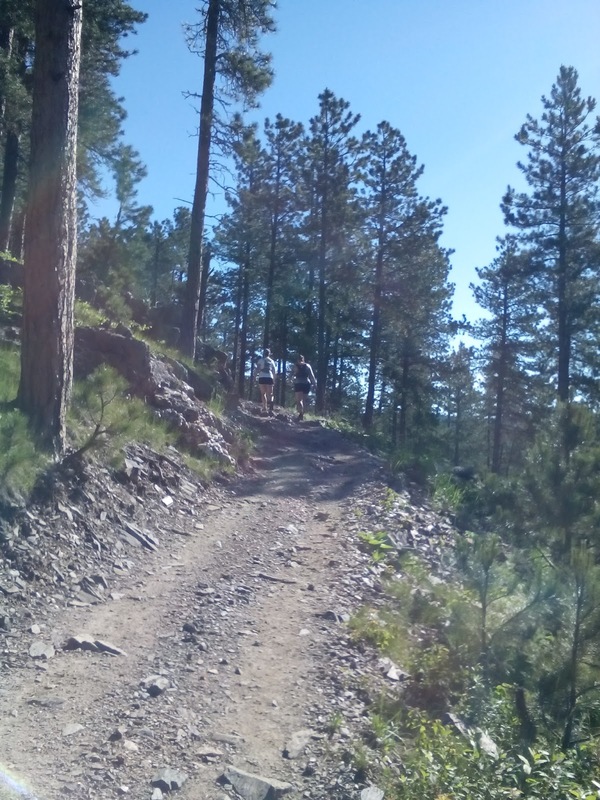 I do not regret starting this race and although I am thinking I may not attempt it again as it is very far away it was overall a good day on the trail. The weather was fabulous, albeit very hot at 86 degrees. 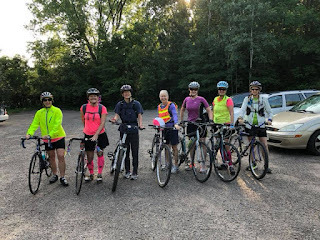 April 11th, Zumbro Pacing; Completed 34 miles! 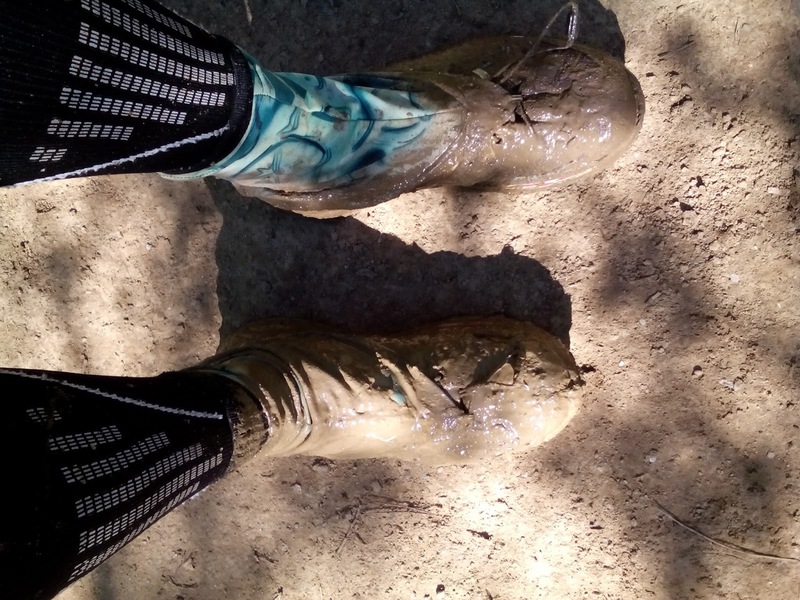 April 25th, Chippewa 50K; Completed! May 9th, Ice Age 50K Completed! June 6th, Fans 12 Hour Completed 49 Miles! August 15th, Marquette 50K Completed! October Surf the Murph 50 mile Completed! 1. April 12 Zumbro 17 mile. Completed! 2. April 26 Chippewa Ice Age Trail 50k Completed! 3. May 3 Mankato 7@7 Trail Race Completed! 4. May 17 Superior 25k Trail Race. Completed! 5. June 7 Chester Woods 10M Completed! 6. June 14 Sour Grapes Half Marathon Completed! 7. July 5 Afton 25k Trail Race Completed! 8. July 12 Eugene Curnow Marathon Completed! 9. July 26 SMU Scamper 5k Trail Race Completed! 10. August 2 Fisherman's Picnic 5M Completed! 11. September 6 Moose Mountain Marathon Completed! 12. September 14 Harmon Farms 5M Completed! 13. September 20 In Yan Teopa 10M Completed! 14. September 21 William O'Brien 10 M Completed! 15. October 11 Big Woods HM Completed! 16. October 18 Wild Duluth 50k Completed! 17. October 25 Great Pumpkin Chase 10K Completed!